Last month, the DOJ's Leslie Caldwell, described the fight against corruption as “a necessary enforcement action to protect our own national security interests and the ability of our U.S. companies to compete on a global scale.” These comments not only apply to FCPA enforcement but also highlight the long-recognized notion that corruption can threaten peace and security. Today, the threat posed by corruption to security is especially relevant to Africa and the Middle East. An executive at Swiss pharma Novartis pleaded guilty in a bribery prosecution in Poland, the company has confirmed. GlaxoSmithKline said Tuesday it is investigating allegations of corrupt payments in the United Arab Emirates. GlaxoSmithKline said it is investigating allegations of bribery in Jordan and Lebanon first reported by the media. The Arab Spring showed the power of social media and grass-roots transparency. Does foreign aid cause corruption? It does, mainly by helping corrupt regimes stay in power. And because corrupt regimes are the most unstable, aid also fuels civil unrest. Denmark-based Novo Nordisk A/S will pay a $9 million criminal penalty and enter into a deferred prosecution agreement with the Justice Department for illegal kickbacks paid to the former Iraqi government under the U.N. oil-for-food program. It will also pay $3,025,066 in civil penalties and $6,005,079 in disgorgement of profits, including pre-judgment interest, to the Securities and Exchange Commission. The DOJ charged Novo in U.S. District Court for the District of Columbia with one count of conspiracy to commit wire fraud and to violate the books and records provisions of the Foreign Corrupt Practices Act. Novo manufactures insulin, medicines and other pharmaceutical supplies. Between 2001 and 2003, it paid about $1.4 million to the former Iraqi government by inflating the price of contracts by 10 percent before submitting them to the United Nations for approval. It then concealed from the U.N. the amount of the kickbacks included in its prices. Novo also admitted it inaccurately recorded the kickback payments as commissions in its books and records. The deferred prosecution agreement has a term of three years. The DOJ didn't charge the company under the FCPA's anti-bribery provisions. It said Novo conducted a "thorough review of the illicit payments" and implemented "enhanced compliance policies and procedures. " In the civil enforcement action, the SEC charged Novo with violating Section 13(b)(2)(A) of the Exchange Act [15 U.S.C. §78m(b)(2)(A)] for failing to keep books, records, and accounts, which, in reasonable detail, accurately and fairly reflected its transactions and dispositions of its assets. It also charged the company under Section13(b)(2)(A) of the Exchange Act [15 U.S.C. § 78m(b)(2)(B)] for failing to devise and maintain a system of internal accounting controls sufficient to provide reasonable assurances that: (i) payments were made in accordance with management's general or specific authorization; and (ii) payments were recorded as necessary to maintain accountability for its assets. Initially, Novo Nordisk wired the kickback to [its] Agent's account at the Arab Bank in Amman, Jordan as an advance on his commission. The Agent would then Wire the funds to an official Kimadia account at the Rafidain Bank in Amman, Jordan. [Kimadia is the Iraq State Company for the Importation and Distribution of Drugs and Medical Appliances.] After Kimadia received the kickback payment, the Iraqis authorized the opening of a letter of credit and then Novo Nordisk shipped the goods to Iraq. Later, Novo Nordisk informed Kimadia that it could not pay the ten percent kickback before it received payment from the U.N. as it was not easy for [Novo's] Athens office to authorize large advance payments to the Agent. Thereafter, Kimadia no longer required the kickback be made upfront, and instead insisted on a bank guarantee. [The Agent in Jordan] opened a bank guarantee from the Arab Bank payable to Kimadia's account at the Rafidain Bank in Jordan. Eventually, Kimadia informed Novo Nordisk that it would no longer accept bank guarantees paid to its account at the Rafidain Bank. Instead, Kimadia provided Novo Nordisk with an account number where the kickback was to be paid. 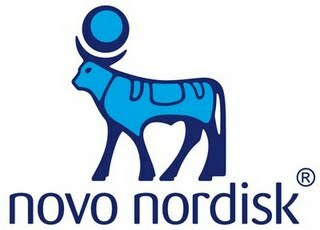 Novo Nordisk's ADRs trade on the New York Stock Exchange under the symbol NVO. Download the DOJ's May 11, 2009 release here. Download the May 11, 2009 criminal information against Novo Nordisk A/S here. View the SEC's Litigation Release No. 21033 dated May 11, 2009 in Securities & Exchange Commission v. Novo Nordisk A/S, Civil Action No. 1:09-CV-00862 (D.D.C.) (EGS) here. Download the SEC's civil complaint against Novo Nordisk here.